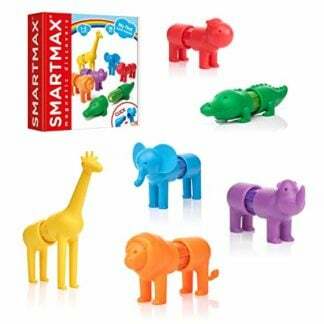 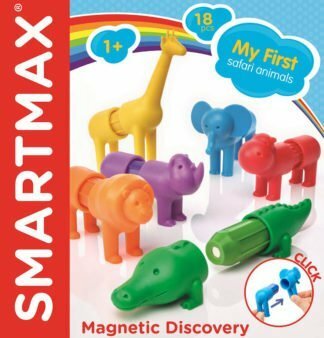 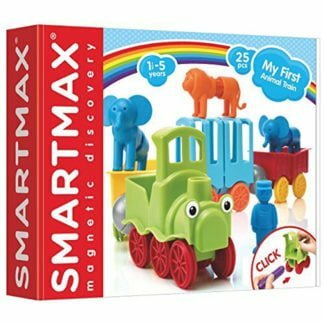 Smartmax Start is the first level in the amazing magnet learning games set. 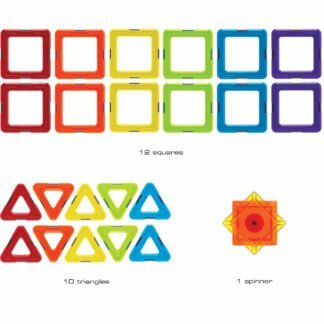 With large and powerful magnets contained in colourful chunky plastic pieces, this is a great way for children to start exploring shapes and structures. 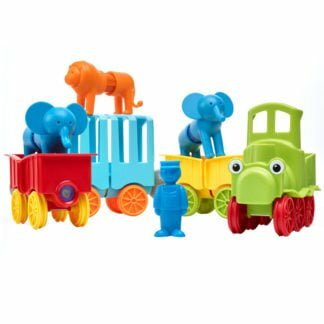 The pieces fit together in so many ways to make an assortment to shapes. 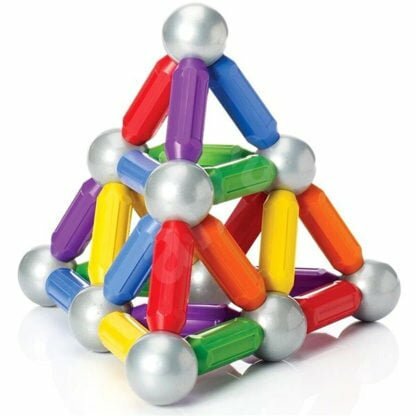 You can also combine them with the metal balls to make stars, triangles, pyramids or whatever else comes to mind. 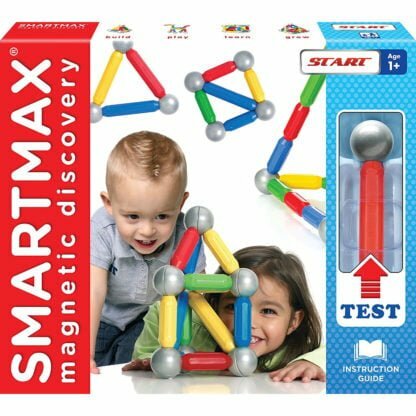 The box contains 12 small and 3 large magnetic rods and 8 metal balls. 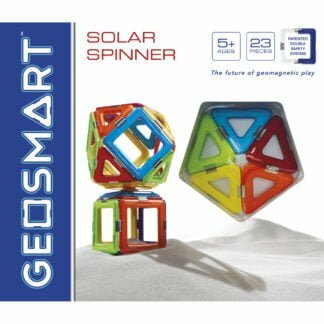 A great, safe and fascinating way of getting started with building that many ages will enjoy.